The Retail Division of Andy's Entertainment Factory came in to being when Andy's love of collecting got out of hand. 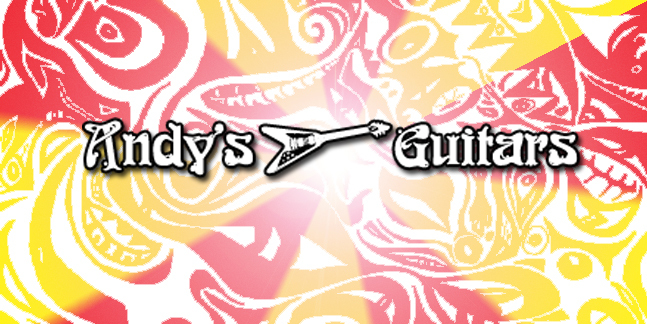 Andy was traveling around the country buying and selling guitars, basses and amps for his collection. Returning home after a particularly successful trip, he realized he had no place left to store his newfound booty. Moving everything from his house to a rented warehouse, the business was born. When Hurricane Andrew devastated South Florida and the warehouse in 1992, Andy moved everything back to the house while searching for a retail storefront. Eventually, Andy's Entertainment Factory opened their first location on South Dixie Highway (Federal Highway 1, U.S. 1), the road that goes from Bangor, Maine to Key West, Florida . . . the longest and widest north / south roadway in the country.